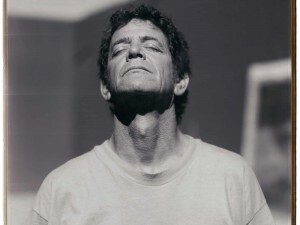 On July 30 2016, JG Thirlwell will be performing the Lou Reed song “Men Of Good Fortune” at Lincoln Center Out Of Doors as part of an all-day celebration of Lou Reed curated by Laurie Anderson and Hal Willner entitled The Bells. Thirlwell will perform with a band comprised of Don Fleming (Gumball), Sal Maida (Roxy Music), Kenny Margolis, Lee Ranaldo (Sonic Youth), Steve Shelley (Sonic Youth) and Matt Sweeney (Chavez). Other guest singers performing in the same set include Joanaspolicewoman, David Johansen, Lenny Kaye, Jesse Malin, Kembra Pfahler, Felice Rosser, Harper Simon, Jon Spencer, Bush Tetras, JG Thirlwell, and Willie Mae Rock Camp for Girls. The set begins at 11.30am. The day will also include a Tai chi lesson with Master Ren GuangYi; Lou Reed DRONES: an immersive sound installation created from six of Lou Reed’s guitars and amps in a feedback loop; readings of Lou’s lyrics from Steve Buscemi, Willem Dafoe, Natasha Lyonne and many others; and a set of Lou’s love songs in the evening performed by the likes of Laurie Anderson, Anohni, Emily Haines, Mark Kozelek, Bill Laswell, Maxim Moston, Jenni Muldaur, Jane Scarpantoni, Jim White, John Zorn and many more. The concert will take place in the Damrosch Park Bandshell on the grounds of Lincoln Center at Amsterdam Ave. and W. 62 St., New York, NY 10023 and admission is free.